Only the 5th day in 2015, and I’ve finished my 2nd book of the year in my 2015 Reading Challenge. If I keep going at this rate I’ll have read 146 books come the end of the year – yeah right! Over the Christmas holiday I acquired a great deal of books, which I either bought for myself or chose as gifts from my family. 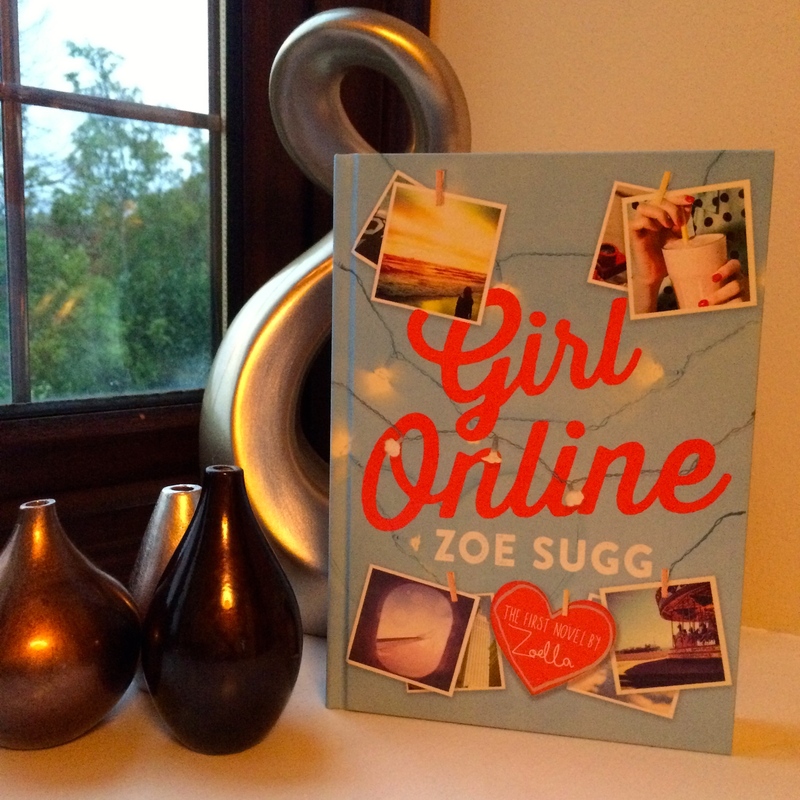 One such book (in the former category) was “Girl Online” by Zoe Sugg (aka Zoella/aka Siobhan Curham). With this particular read I wanted to check off #6 A book written by someone under 30, but I couldn’t bring myself to give Zoe the credit for what is, essentially, someone else’s work. For this reason, I went with #9 A book by a female author (or authors in this case). “Obviously this “novel” has drawn a lot of attention over the past couple of months since its publication, and that was primarily the reason I decided to pick it up. I am not a YouTube fan (unless you count the four or five BookTubers I follow), but the amount of press this book received, both when it was released and when it was rumoured (and then admitted to by Zoe) that it was ghost written, drew me to it. I have a strange hatred of ghost written works (celebrities, politicians etc) but this really got on my nerves. A 20-something year old YouTuber got a book deal, where she didn’t actually have to write the book, only provide the characters and the plot outline (which lets face it, is basically her life story). It really grates on me, especially when there are so many talented young writers out there who haven’t got the means to showcase their work. Saying that, the novel is decent. I didn’t expect to like it, but I did. Sure Penny was a bit wet, some of the dates/numbers seemed to change during the story, and how many 18 year-old males date 15-year old females? – it’s slightly creepy to be advertising that in a book primarily aimed at the 11-16 year old female market – but the novel itself was good (7/10). Some good has undoubtedly come out of this novel: it has drawn attention to issues such as homophobia, bullying and anxiety, and it has led to literally hundreds of thousands of teenagers actually reading a book – shock horror! My ex-English teacher grandmother was, and still is, a firm advocate of “reading anything, be it Dickens or a comic book, is a good thing”. I also believe this is true, so write away celebrities/ghost writers, if it means gaining the interest of young people, even if it’s only for a few hours.